I recently finished a cool (free) eBook of Matt Kremer on how to release your software product in just a weekend. A very important aspect of this is creating the optimal MVP (Minimum Viable Product), something that also came back in Matt’s podcast. Minimum Viable Product is about defining the smallest unit of functionality and form that defines the essence of your product so you can build it and put it out there for others to (buy and) use. Mother Nature is one heck of a MVP factory! In this post I’ll go into an analogy on how a little plant is starting out and how the process of its growth make for a great example of MVP in its purest form. Most plants we know start out as a seed, just like a product starts with an idea that comes up into your mind. And there are more analogies to be made there, like the seed (or it’s parent) doesn’t always have a lot of influence on where that seed will land or start out. It might just be your idea is great but that your physical location – just like a seed that’s been eaten or is being blown through the sky and has fallen to the ground – isn’t being located in the most optimum spot. Thankfully – similar to our little seed – the internet is a great and very potential piece of soil to plant your idea in and it doesn’t restrain the plant (or idea) to grow into something that will work. 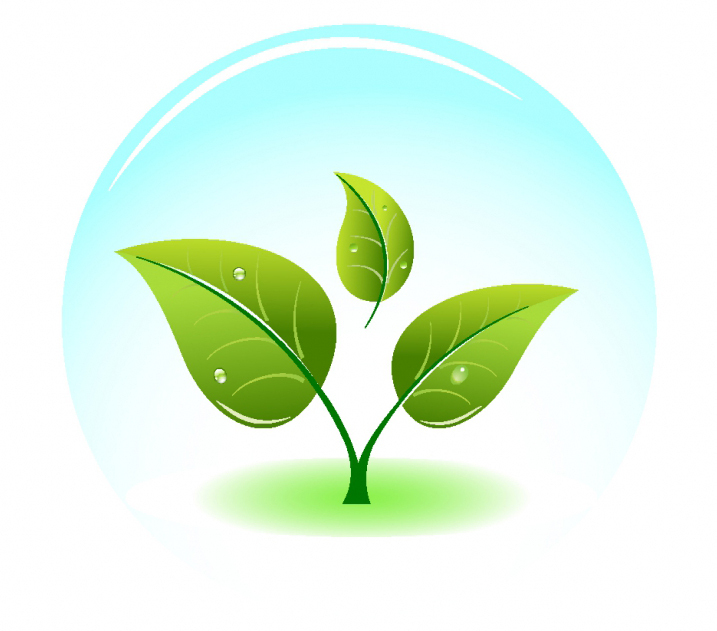 A plant has three requirements it needs to thrive: soil, water and sunlight. So let’s take that as the main thread for my analogy and go from there. it has landed on soil in which it can grow roots to get a fixed position, extract minerals and get going. When you define the “Minimal” part of MVP you’re keeping into mind what set of functionality makes the product the answer to a specific problem. And it depends on the conditions of the market and maybe even the location (country, continent) and/or culture (eastern, western, etc) what features of the products make for the best minimal starting product. 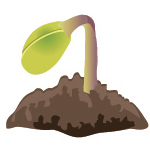 Guess what; depending on the soil and its environmental factors (like humidity, minerals and other organics growing there) a plant will start and grow more or less roots, focus on growing a thicker or smaller stem and it might even decide to branch out earlier then it would otherwise. A plant dynamically decides if the situation it is in is adaptive enough to survive its surroundings. Sounds like a great inspiration for a succesful MVP mindset . Once you’ve set foot on your product’s (market)ground it is about setting the right course from that point on. Sunlight is perhaps one of the most human perceptive requirements during the growing process of a plant since plants tend to grow towards the sunlight and even open up or close their flowers or leaves depending on the presence of sunlight. The key element of most plants is that it tries to optimize catching those vital beams of light so it can process internally and expand itself. Now, think of your market’s need as beams of sunlight. Catching my drift? People looking for products just like yours have an itch and they need it to be scratched. If you listen to them carefully, growing towards the sunlight, or perhaps even interact with them – just like a leaf opening up to the beams you can find out what aspects of your product will or would make it the most valuable for them. I’m not saying that you should listen and obey on each and every request but by pointing your ears into their direction and gathering all those beams of feedback you can decide how you’ll make your product gain even more ground (and setting in your roots deeper in the soil). Wether it is making your core stem thicker and reach out even further into one direction or branching out and generating more leafs ;). all three since gaining too much water will wash away the soil in which a plant stands or drown it at the spot. The “water” for your MVP would be the feature list. Just like watering a plant, giving your MVP not enough features will let it dry out on the spot whereas giving it too much it will drown as fast as it is planted . It is all about balance, keep watering your product and maintaining its humidity to an optimum. As a mobile developer – leaving aside the fact that mobile apps tend to be more “minimum” in their nature then browser solutions – I see a lot of nice apps left to hang out there and eventually they dry out because they’re not maintained enough. No more updates for support, nobody working on improving or adding the most desired features will make people ignoring the product, resulting into the product being stranded faster than you can say “Micropachycephalosaurus”. People trust products that work, but even more they trust products that show work being done and that prove to be evolving into something even better. Another aspect of the “water” requirement is moderating and dividing supplementing your product with new juices. The amount of water that would drown your plant when you give it all at once would make it a happy little plant if you’d just divide it up in smaller portions and give it at a frequent basis. Don’t drown your MVP by releasing everything you’ve built but select the features that improve one or two key aspects and release them . Then regroup and rethink direction and set out another update in a predefined interval and get the improvements out there. Off-topic: seems like the “be focussed and frequent with posting on your blog”-tips that John Sonmez often gives could just as well be applied to” rolling out improvements to your MVP” as well. One last thing: the analogy doesn’t stop with plants. When you come to think of it: nature exists solely of MVP’s. Some are being worked out in the long run (millions of years) and some in the (relative) short run. But in the end, only the most adaptive “products” survive and get to “fix a problem” by fitting in as part of the ecosystem. As always, drop me a line in the comments below to let me know your aathoughts on either my analogy, MVP, developing software products or anything related that comes into mind.